• At the press conference announcing his $10.5 million contract Torii Hunter used the "those nerds never played the game" cliche when asked about his terrible defensive numbers and then called Mike Berardino of the St. Paul Pioneer Press "a prick" four different times in response to questions about Hunter's very public and repeated stance against gay rights. As if there weren't already enough reasons to question to wisdom of signing him for purely on-field reasons. • Parker Hageman of Twins Daily went inside the numbers to show why Hunter's defense rates so poorly, including video of specific plays. Hageman played the game in high school, so not sure if that counts or what. • Aaron Purmort died at age 35, leaving behind a great wife, a great son, and a community who loved him online and in person. He also went out with the best obituary I've ever seen. • Wanna buy Jonathan Papelbon's condo? It costs $7 million and includes zero colors. • This is probably one of the top 10 signs someone has posted in the elevator of my building during the 10 months I've lived here. • Chris Cillizza of the Washington Post raised a lot of good points in arguing against the need for online comment sections attached to articles. • Jerry Kill was named Big Ten coach of the year just 15 months after Minneapolis Star Tribune columnist Jim Souhan wrote that he shouldn't be allowed to coach the Gophers. • This review of the new "America" restaurant at Donald Trump's hotel in Toronto is pure gold. Some might say he failed, but failure is subjective anyway. • Josh Willingham announced his retirement, two months after his wife got mad at Berardino for reporting he planned to retire. • Dave Brown made his Fan Graphs debut writing about Willingham being the losing-est player. • As someone who prefers staying home over just about anything movie theaters trying to be more like your living room is intriguing. But it'll never compete with not leaving the house. • Chris Rock gave a lot of interesting answers in a long, wide-ranging interview with Frank Rich. • Fran Tarkenton is never going to make the baseball Hall of Fame after admitting this stuff. • It turns out the Twins' new coaching staff looks awfully familiar. • If given the chance, how many MLB teams would wipe the slate clean and rid themselves of all contracts on the books? I think the Twins would likely be one of the them, despite Phil Hughes. • Two of my favorites, Todd Barry and Tom Scharpling, sat down for a good chat. • Scharpling is bringing "The Best Show On WFMU" back, minus WFMU, as a podcast. • For the second time in three months the Minneapolis Star Tribune published an anti-transgender ad that never would have been accepted if it depicted any other minority group. And he's playing well for the Suns after looking like a bust early in his career. • As expected, I crushed Michael Rand in the Minneapolis Star Tribune fantasy football challenge. • Coup d'etat has good fries, gnocchi, fish and chips, and whiskey. Joy Summers wrote a good article about their one-year anniversary in Uptown, including guys like me asking for more TVs. • My pick for Minneapolis' most underrated restaurant, Louie's Wine Dive, got a nice write-up centered around their chef, Patrick Matthews. • "Gilmore Girls" watching update: Jon Hamm was on an episode in Season 3. • Heyday is a fantastic restaurant and I'm sure that will remain true, but seeing Lorin Zinter's smiling face was a big part of the experience. • Nye's Polonaise is closing after 65 years as a Northeast Minneapolis staple. - "Aaron Gleeman in a bear suit"
- "Snoop Dogg and Eddie Guardado"
- "Angelina Jolie in Minnesota"
- "Where is Scott Ullger now?" - "Lizzie Caplan smokes Marlboro lights"
That's a helluva list to sit atop. Hughes is 15-10 with a 3.61 ERA in 31 starts. The rest of the Twins' rotation is 31-58 with a 5.60 ERA in 126 starts. 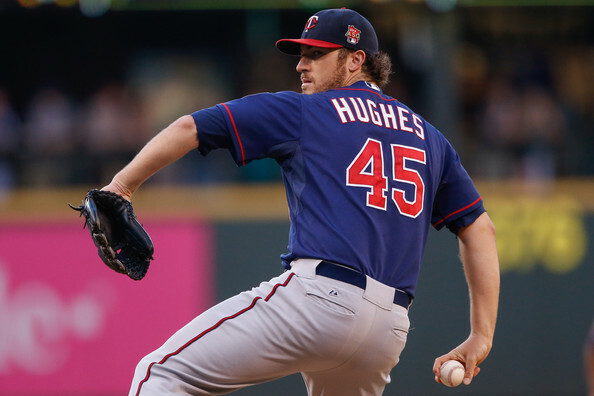 UPDATE: The good news is Hughes finished his final start with the all-time K/BB ratio record intact. The bad news is thanks to an ill-timed rain delay he might finish one out short of $500,000. • Glen Perkins tried to pitch through what was initially believed to be a minor neck injury, but after several bad outings in which he clearly wasn't right physically the Twins sent him for more testing. He was then shut down after being diagnosed with what they're calling a forearm strain and nerve irritation. It's unfortunate, because not only does Perkins head into the offseason as a question mark, his attempts to pitch through the injury ruined his strong season totals. As of August 25 he had a 2.44 ERA and 64/9 K/BB ratio in 55 innings, but then Perkins allowed 10 runs in 6.1 innings to inflate his ERA to 3.65. During that span he gave up five home runs in eight games after giving up a total of seven home runs in his previous 116 games since the start of last year. Everyone acts like playing through injury is to be commended, but it usually goes badly for player and team. Perkins says he learned his lesson about "trying to be a tough guy." • Kennys Vargas and Jose Berrios were named the Twins' minor league player and pitcher of the year. Vargas hit .281/.360/.472 with 17 homers in 97 games at Double-A as a 23-year-old before being called up to the majors on August 1. Berrios split his age-20 season between high Single-A and Double-A--with a late cameo at Triple-A--posting a 2.76 ERA and 140/38 K/BB ratio in 140 total innings. Last season's winners were Byron Buxton and Andrew Albers. Vargas also has nine homers through 48 games, which is tied with Kent Hrbek, Gary Gaetti, and Josmil Pinto for the third-most behind Marty Cordova and Tom Brunansky with 10 apiece. • Francisco Liriano is in the midst of a 28-inning scoreless streak and now has a 3.32 ERA with 170 strikeouts in 157 innings for the Pirates after posting a 3.02 ERA with 163 strikeouts in 161 innings for the Pirates last season. His rotation-mate, Vance Worley, has a 2.93 ERA and 75/22 K/BB ratio in 104 innings. Add it all up and Pittsburgh has gotten 417 innings of a 3.15 ERA from Liriano and Worley for less than the Twins paid Mike Pelfrey. Give him a little time to see what he does over the course of starts. We'll talk about that in October. See how it goes. Well, it's almost October. Also, just a reminder: Before selling Worley to the Pirates at the end of spring training the Twins sent him outright to Triple-A, which means they could have stashed him there all season without even taking up a 40-man roster spot. They gave him away for no reason other than they were convinced he had zero value. Worley, still just 26 years old, now has a 3.35 ERA in 382 career innings for non-Twins teams. And even Carlos Gomez is impressed. Arcia has 33 homers, which is the fourth-most in Twins history through age 23 behind Brunansky (80), Hrbek (40), and Zoilo Versalles (34). He can't control the strike zone, can't hit lefties, and can't catch much in the outfield, but Arcia's power potential is special. And on the subject of his terrible defense, here's a fun little tidbit: Arcia played 77 games in center field as a minor leaguer, including some at Double-A. Think about that. • Ultimate Zone Rating calculates the Twins' defense has been 85 runs below average since 2011, including -48 for the infield and -37 for the outfield. Obviously the Twins' pitching has been awful, but if you take awful, low-strikeout pitching and put awful defense behind it you have no chance. • Post-trade performances: Josh Willingham has hit .243/.361/.400 in 23 games for the Royals to almost exactly match his .210/.345/.402 line in 68 games for the Twins. Sam Fuld came back down to earth, hitting .211/.270/.320 in 48 games for the A's. Kendrys Morales has continued to be terrible, hitting .206/.274/.335 in 53 games for the Mariners. Kevin Correia has continued to be Kevin Correia, posting an 8.03 ERA in 25 innings for the Dodgers. 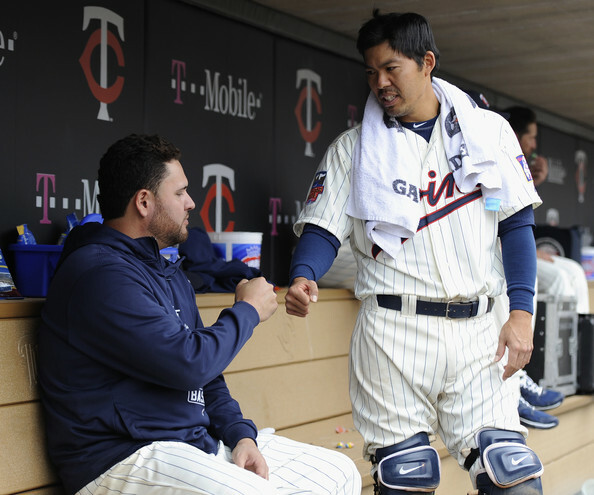 And since the Twins decided not to trade him and gave him a two-year contract extension instead, Kurt Suzuki has hit .256/.291/.383 with a 15/3 K/BB ratio in 37 games. • Pedro Florimon, who began this season as the Opening Day shortstop, was claimed off waivers by the Nationals when the Twins took him off the 40-man roster. He's a good defensive shortstop, but Florimon hit .205/.266/.300 in 210 games for the Twins. The only players in the history of the Twins to log more appearances with a lower OPS than Florimon are Jerry Zimmerman and Jim Kaat. Kaat was a pitcher. • Across baseball this season there have been more than 1,700 games started by pitchers younger than Kyle Gibson. He might be inexperienced and he might be inconsistent, but he's not young. 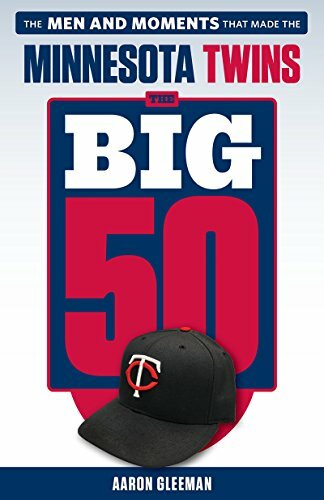 • By my calculations the Twins have as many as 19 players on the 40-man roster they could cut, although my guess is that they'll keep half of them. • It's official now: If the Twins don't fire Ron Gardenhire he'll be just the third manager in the history of baseball to keep his job following four consecutive 90-loss seasons. • Last time the Twins won 90 games in back-to-back seasons was 2003/2004. Since then they have a 789-828 record for a .488 winning percentage. Any realistic potential for the Twins to make a major move at the trade deadline likely revolved around dealing away All-Star catcher Kurt Suzuki, but instead they signed the impending free agent to a two-year, $12 million contract extension and chose only to make a handful of minor deals to remove veterans from the margins of the roster. And it's possible they may still make another minor deal or two before the end of the August waiver trading period. Prior to deadline day they sent massively disappointing 31-year-old midseason signing Kendrys Morales to the Mariners for 25-year-old rehabbing reliever Stephen Pryor. On deadline day they shipped 32-year-old outfielder Sam Fuld back to the A's team from which they recently claimed him off waivers for nothing in exchange for 27-year-old starter Tommy Milone. And after the deadline they parted ways with 35-year-old Josh Willingham and 33-year-old Kevin Correia. Correia was traded to the Dodgers for a player to be named later or cash considerations, and how many innings he logs for them as a spot starter/long reliever will probably determine whether the Twins receive a non-prospect minor leaguer or the equivalent of a bucket of baseballs. Correia had $1.5 million remaining on a two-year, $10 million deal, so the Twins save some money and more importantly clear a rotation spot for a starter who might actually have a future in Minnesota. Similarly, by trading Willingham to the Royals for right-hander Jason Adam the Twins shed the $1.8 million remaining on his three-year, $21 million deal and open up at-bats for younger corner outfielders. As an added bonus Adam isn't totally devoid of potential. Drafted in the fifth round out of high school in 2010, he struggled as a starter at Double-A last season and this season before being shifted to the bullpen at Triple-A recently. Apparently the Twins plan to send Adam back to Double-A and make him a starter again despite his 5.18 ERA and poor secondary numbers in 45 career starts there. At age 22 he's certainly still young enough to develop further and perhaps they simply want to get a first-hand look at what he's capable of as a starter, but based on Baseball America's scouting report of decent velocity and iffy off-speed stuff if Adam makes it to the big leagues it'll likely be as a reliever. Ultimately, though, Adams and whatever the Twins get in return for Correia are merely icing on the cake of removing two mediocre veterans from a non-contending roster that didn't need them. At this point Willingham's spot in left field and Correia's spot in the rotation carried more value to the team than they did, although to actually benefit from that value the Twins need to fill those spots with players who possess upside and help those players develop with the playing time. Correia had a 4.50 ERA in 54 starts for the Twins compared to a 4.10 ERA for the average AL starter. Among the 138 starters with at least 150 innings since 2013 he ranked 131st in xFIP and dead last in strikeout rate with 4.7 per nine innings when no one else was below 5.0. His only real value came from being not-disastrous and not-injured, and if the Twins ever truly needed to pay $5 million per season for that at any point it certainly ceased being the case now. Willingham looked like a spectacular investment one season into his three-year contract, having a career-year at age 33 by hitting .260/.366/.524 with 35 homers. Rather than trading him then the Twins hung onto Willingham and he's been injured and ineffective since, hitting .209 with a .380 slugging percentage dating back to last season while sitting out 35 percent of the team's games. Toss in terrible defense and he was among MLB's least valuable players. Correia was an example of a signing that carried only downside, because he pitched as well as the Twins could realistically have hoped for based on his track record and was still barely better than a replacement-level starter while earning 10 times the minimum salary. Willingham was an example of why signing mid-30s players to multi-year deals carries so much risk, as well as an example of why selling high is sometimes the right decision even if it's also a tough decision. Of the four 30-somethings traded away only Fuld had a chance to be part of a future team and that wouldn't have been as more than a backup outfielder for a season or two, so to shed about $8 million in salaries, clear playing time for younger players, and receive the potentially useful trio of Milone, Pryor, and Adam in return is a job well done for the front office even if the moves came about in part because the Willingham, Correia, and Morales signings were all less than successful. 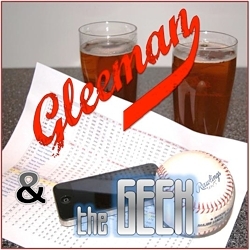 For a lot more about the Twins' deadline and post-deadline deals, plus Trevor May's ugly debut, check out this week's "Gleeman and The Geek" episode. As the Twins stumble toward a fourth consecutive losing season next week's trade deadline is an opportunity to acquire young talent to aid the ongoing rebuilding effort. But will any of the Twins' obvious trade candidates be in enough demand to actually fetch significant long-term help? And does it make sense for the Twins to shop some not-so-obvious veterans in an effort to make a bigger splash? Here's my view of the players they might deal between now and July 31. Kurt Suzuki: Signed for $2.75 million to, in theory, split time behind the plate with Josmil Pinto and mentor the rookie, Suzuki instead immediately became the primary catcher and then decided to have the best season of his career at age 30. If you trust pitch-framing numbers and/or simply look at the pitching staff's overall ineffectiveness his impact hasn't been quite as profound as the Twins would have you believe, but either way Suzuki has been fantastic. Of course, the reason he was available so cheaply is that Suzuki hit .237/.294/.357 in 477 games from 2010-2013, and in general investing in catchers on the wrong side of 30 is iffy. Signing him to a contract extension would be the Twins' style, but unless Suzuki is willing to accept similarly inexpensive terms on another deal it would make sense to cash him in for a decent prospect if that's a possibility. One good half-season and a useful prospect for $2.75 million would be ideal. 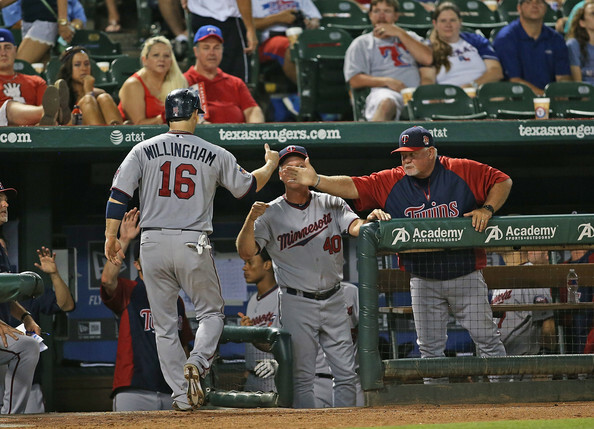 Josh Willingham: I've been suggesting the Twins shop Willingham since the middle of his first season in Minnesota, when he was a 33-year-old having a career-year and seemed to have a decent trade market among contending teams. Two years later he's a struggling 35-year-old impending free agent who's looked so washed up of late that he might not even have a place in the Twins' lineup, let alone anything resembling trade value. He can still draw walks and smack the occasional homer, but Willingham has zero business seeing the field defensively and has been one of the worst hitters in baseball since mid-June. Going back even further, since the beginning of last season he's hit just .211/.349/.384 in 163 games. He has $3 million left on a three-year, $21 million deal and while the money saved probably wouldn't be re-invested in the team anyway his at-bats could go to someone with a future in Minnesota. Kendrys Morales: Signed for $7.5 million two months into the season because the Twins thought they were close to contending and assumed he'd be a sizable upgrade over Pinto, but instead their thoughts of relevance quickly vanished and Morales has been terrible. It's possible that once he shakes off more of the rust Morales will be his usual self, but it's also possible that he won't and either way it won't really do the Twins much good. Pinto looks capable of being as good or better than Morales right now and at age 25 certainly has a brighter future even if the Twins determine he's purely a designated hitter. Why give playing time to a 33-year-old impending free agent when you can give those at-bats to a 25-year-old who might be better anyway? If any of the teams that wanted Morales in June still want him now the Twins should take whatever they can get and chalk the whole experience up to a misguided flier. Trevor Plouffe: Coming into the season it seemed likely that the Twins would have parted ways with Plouffe by now and handed his job to stud prospect Miguel Sano, but instead Sano is out for the year following Tommy John surgery and Plouffe has been a decent starting third baseman. And because Sano's future at third base is now very much in question, keeping Plouffe around for next season now seems like a reasonable option. Plus, it's not like Plouffe is going to fetch much in a trade anyway. He's a 28-year-old career .241/.303/.412 hitter who should probably be platooned and is at best not-horrible defensively at third base. He'd be a decent fit for a lot of teams in a part-time role, knocking around lefties at a few different positions, but teams don't give up significant prospects for those types of players and Plouffe could always fill a similar role for the Twins in 2015 if Sano makes a flawless comeback. Glen Perkins: In theory trading a closer is almost always a good idea if there's good value to be had because they tend to be overrated. This is a much more complicated case, because Perkins has been one of the dozen or so best relievers in baseball since moving to the bullpen full time in 2011, he's a lifelong Minnesotan beloved by the fan base, and he just signed a contract extension through 2018 in which he'll never make more than $7 million in a season. Would it make sense to trade a really good 70-inning pitcher for a top prospect or two and try to re-start the whole cycle by replacing him in the closer role with a different former starter or setup man? Sure. But the Twins will never do that and Perkins is good enough and cheap enough that moving him for prospects is hardly guaranteed to look smart a few years down the road anyway. This isn't a Matt Capps situation. Perkins is a legitimately elite reliever, closer or otherwise. Ricky Nolasco: This offseason there was presumably enough interest in Nolasco as a free agent that the Twins had to pay $49 million to sign him. A half-season later the Twins would surely be thrilled to hand the remainder of his contract over to another team and would probably pay a big chunk of the 2015-2017 bill just to wash their hands of the situation. It's a moot point because he's on the disabled list with an elbow injury that's apparently been present since spring training. Jared Burton: Whatever trade value Burton had peaked in 2012, but much like Willingham the Twins stuck with him and now there isn't really anything left to trade. His velocity, strikeout rate, and walk rate have all declined to the point that Burton now profiles as a run of the mill middle reliever rather than an elite setup man, and at age 33 exercising the $3.6 million team option for 2015 no longer even looks like a no-brainer decision. Brian Duensing: He stood out as a potential non-tender candidate this offseason, but the Twins brought back Duensing for $2 million via arbitration and he's been his usual self. Which is to say not good enough versus lefties to be a southpaw specialist and far too weak versus righties to be a trustworthy setup man. He has a nice-looking ERA and one more year of team control, so if the Twins can squeeze a mid-level prospect out of some team for Duensing they should jump at it. Kevin Correia: One of MLB's worst starters since the Twins gave him a two-year contract last offseason, Correia's durability and innings-eating only appear to be strengths because he's on one of the few teams that wouldn't have dumped him from the rotation by now. He's close to being a replacement-level starter and giving that type of player $10 million and two full seasons worth of starts would be replacement-level decision-making. His rotation spot is more valuable than he is.